Often, people who are dealing with narcissistic abuse are also dealing with financial abuse. Many of our fellow survivors and thrivers have asked me how they can help people who can’t afford coaching, courses and memberships to get the help they need. They wanted to know if they could donate anonymously, or otherwise, to people who want and need the help we offer but can’t afford to pay for it. Of course, our answer was YES. We do a LOT of giving back ourselves, and we appreciate any help you can offer. You can submit a donation through this link. Be sure to note that it’s a donation to support a fellow survivor and if you have a specific intention for it. For example, if you want a specific person to benefit from it, or if you want it applied to a specific service or program. You may also just say “wherever it’s needed most,” and we will apply it to the next potential person we can help. I do a LOT of free stuff for the community and especially for my SPANily members, and it makes me REALLY happy. Literally validates my entire life every time someone says that I’ve helped them! Still, I’ve got to feed my family just like everyone else – and since so many people come to me and ask me how they could help support my mission, I’ve created this page to help. Thank you so much for asking! 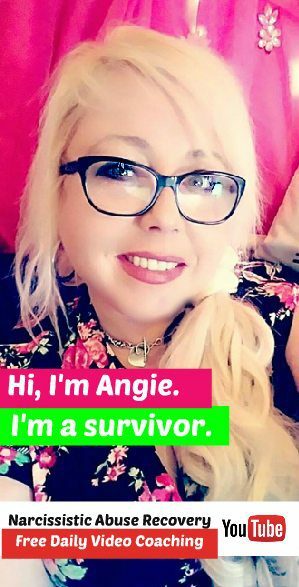 Subscribe to my YouTube Channel at https://youtube.com/angieatkinson and like and share my videos. Join the Collective and help me find resources for people who need them. Help me help my community – with your time and your heart. Get involved and be supportive to the members of our community and our SPANily. Submit a donation via PayPal at PayPal.me/AngieAtkinson: Please note, if you choose this option, I’d appreciate a note letting me know how you’d like me to use the funds specifically – or at least direction on which project you want me to apply the funds to. Join my YouTube channel and help support the creation of my content – plus get some fun perks out of the deal!